I used to love the string cheese back home, which is not really a thing here. 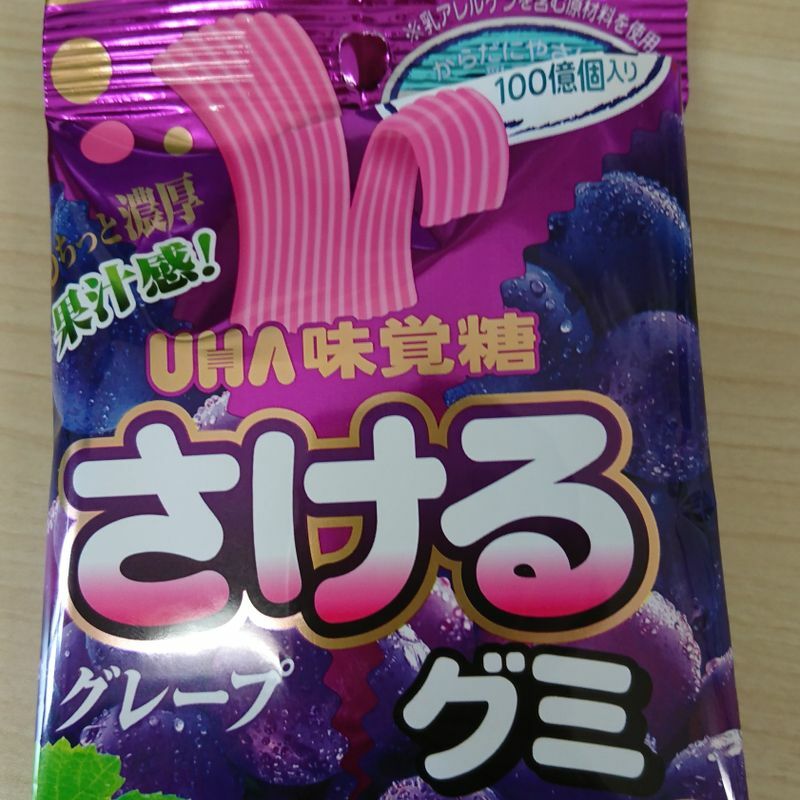 Recently, one of my private students told me about these string gummy candies, so I went hunting for them and bought a grape flavour one. When I opened it, the smell of the grape came through and it was quite promising. 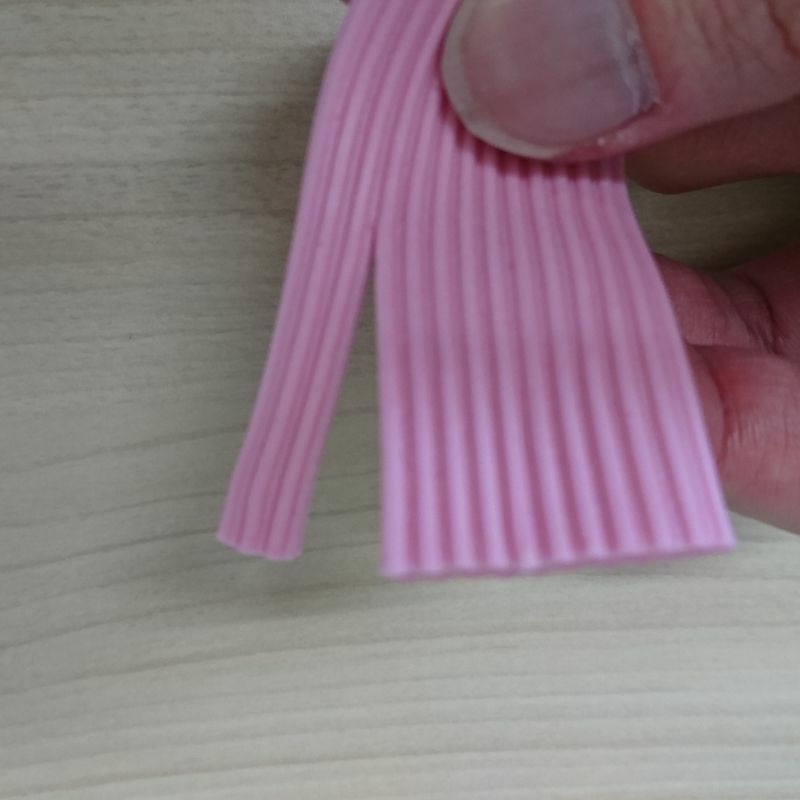 Looking at it, however, it reminded me of those rubber mats you would put at the bottom of your chair legs to protect your floor from scratches. Not quite what you normally eat as candies. The candy was indeed tear-able and a whole lot of fun. The flavour was great too! However, I just need some time to get over the idea that I am eating a piece of rubber so that I can further enjoy the candies. 100 yen is not too pricey for candy, but a bag is only 35 grams, which is not a lot. For the fun though, it is worth it. I've seen these and always wondered if they were any good! Even as an adult I have a soft spot for gummy sweets...I'm probably going to pick one up the next time I see them at the store! @genkidesu As a gummy addict, I can't say that these are my favourite, but it is definitely fun!